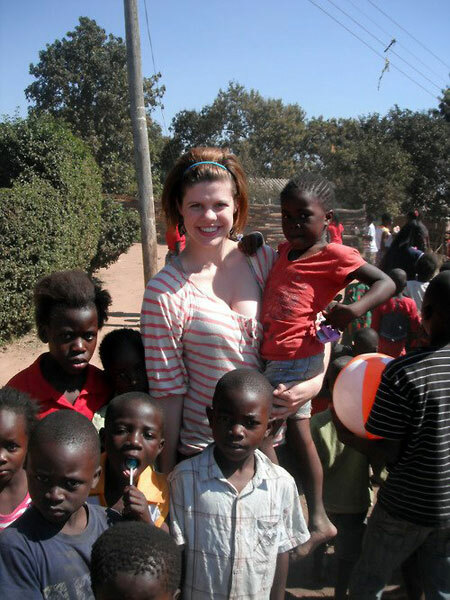 I walked down the dusty road in Kitwe, Zambia, holding Joseph, our adventurous, troublemaking four-year-old neighbour, on my hip. As usual, the sun was beating down through the trees onto the kids playing soccer on our front lawn. 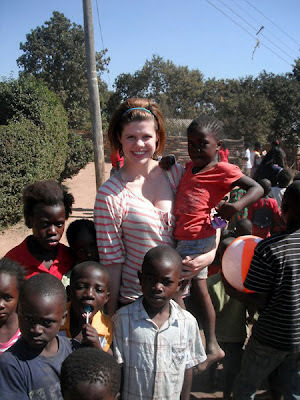 Moments like this are why I decided to come to Zambia: playing with the kids, learning their language and making a difference just by being there. I joined the program in hopes I would utilize the skills I had learned through the Douglas College Theatre Program and teaching drama classes at the YMCA. When I arrived, I realized that it would become much more than that. My goal of becoming a drama and English teacher was being realized, along with using my public speaking skills as a debate coach and sexual education counsellor in high schools in the area. 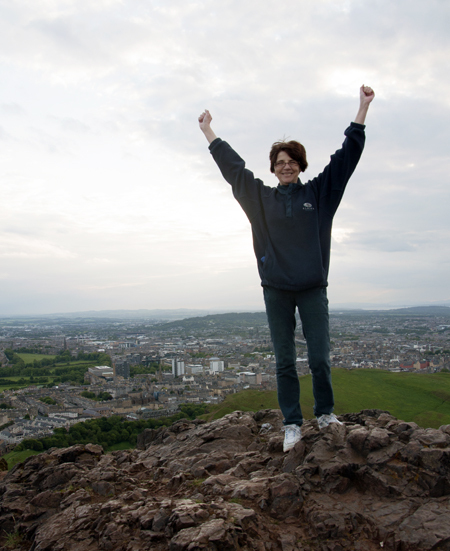 She made it: Laurie Mackie stands triumphant at the top of Arthur's Seat, in Edinburgh. 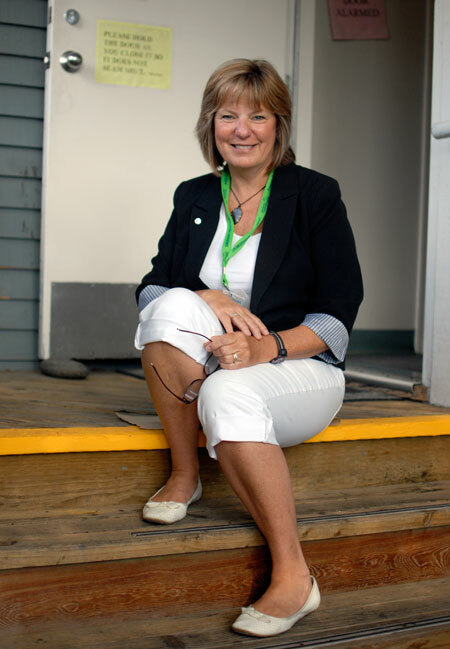 After more than three decades working in accounting and taxation, Laurie Mackie took the plunge and came back to school full-time to pursue her love of words. 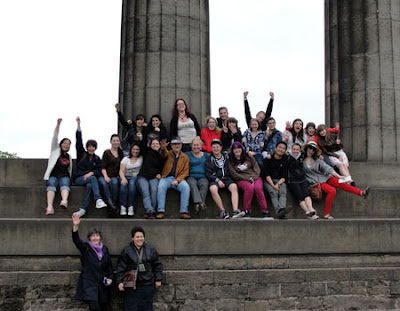 Now earning her Associate of Arts degree in Creative Writing at Douglas, Laurie took part in the 2012 Scotland Field School as part of her studies. Read her blog, "Halò, fàilte gu Alba!" - or "Welcome to Scotland!" for those of you do not speak Scottish Gaelic - to discover what life was like for her on the other side of the pond. Get your Bachelor of Business Administration in Financial Services and Administration, and you’re on your way to a lucrative career in banking, investment advising or financial planning. But did you know that this Douglas degree also offers you the first step in becoming a Certified Financial Planner? Getting your Certified Financial Planner designation means gaining the skills, savvy and confidence needed to help clients make key financial and investment decisions. Douglas is approved as a CFP core curriculum provider by the Financial Planning Standards Council. If you complete the eight CFP core curriculum courses as part of your BBA, then you qualify to write the CFP level 1 exam. The CFP is the leading financial services designation in Canada and is recognized worldwide. Lacy Morin-Dejarlais’ desire to give back runs deep. A member of Saskatchewan’s Saulteaux First Nation and Métis, Lacy grew up in foster care. She believes it is her duty to help young Aboriginal people tackle the types of hurdles she experienced and give them the strength and guidance to grow and prosper. That’s why she chose to study Child and Youth Care at Douglas. Her love of dance runs deep, too. 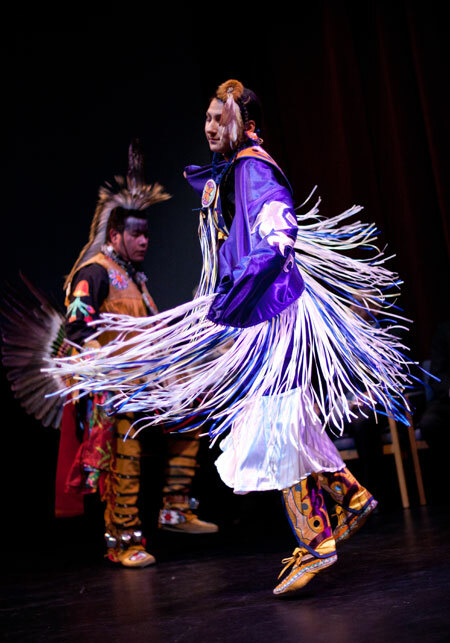 Last year Lacy founded the Douglas College group Powwow: Dancing the Beginning, with the aim of fostering community among Aboriginal students and passing on the teachings of the pow wow, a dance of celebration. Her passion for pow wow is so strong, she feels it’s part of her very identity. Thanks to his experience with the REAL Leadership Program, Robert Prince got hired by Hoops, a basketball camp that integrates life skills with sport. Two Douglas College students are taking part in a new leadership program that has exceeded all expectations for success. Douglife’s REAL Leadership Program places students in local community programs to work with children and youth. The program is part of a partnership between Douglas College and the City of New Westminster’s Community Schools and Parks and Recreation Board. While it just launched in January, the program is already getting rave reviews. 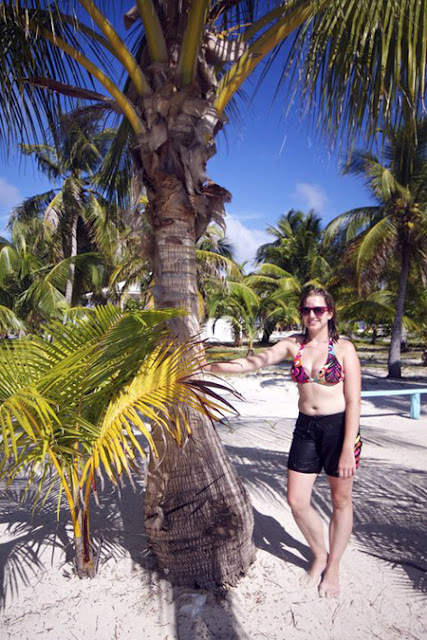 Eight students and two faculty recently finished up five weeks in Belize as part of the 2012 Belize field school. The Belize Field School focuses on the study of the landscapes of Latin America, Mayan archaeology and sustainable development. Participants also got the chance to visit Mayan pyramids, go jungle camping, explore caves and spend four days on a tropical island surrounded by coral reefs. To learn more about the Belize field school, visit the web page. And check out the gorgeous pics by participant Chelsea Reist on Flickr!